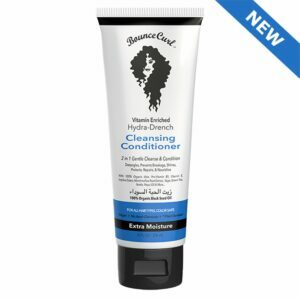 This product is free of any Mineral oils, Peg’s, Synthetic dyes, Parabens, Sulfates, or Silicones. Our fragrance is Phthalate Free. 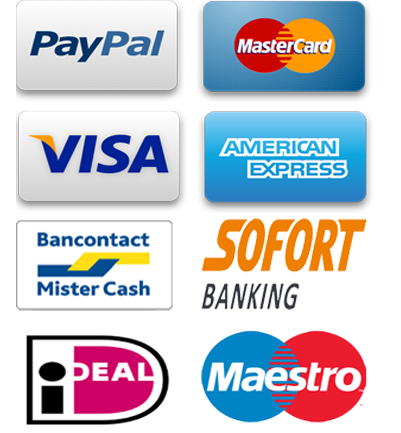 Bounce Curl is not tested on animals & is vegan. This is a light weight styling gel that is infused with extracts of nourishing ingredients. 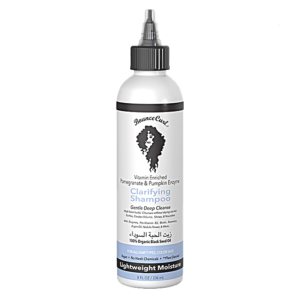 This product does have a holding ingredient in here to help define your curls. It is mostly a gel with a little bit of cream. 80% Gel and 20% cream. 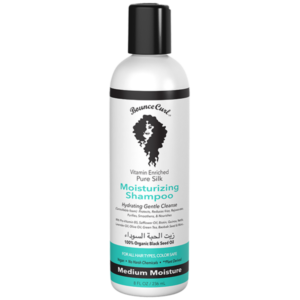 It will leave your hair feeling weightless and it will lock your curl shape in for a long time, reducing frizz. This light formula will not weigh your hair down and it will allow you to create volume. It has aloe which is saturated with essential vitamins and minerals, that can restore hair back to health. Black seed oil is one of the secret middle eastern oils that has been used by my family and I for many years. This oil restores, shines, and has some anecdotal evidence in giving the appearance of longer hair. This oil has many other benefits for the body and hair. Another important ingredient is Panax Ginseng root Extract. 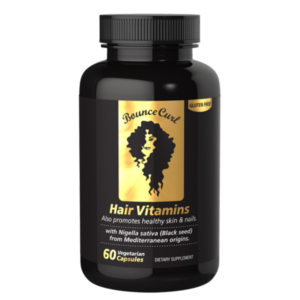 This product is for all hair types and all ethnicities. THIN HAIR: For thin hair, use a small amount of gel in wet hair on different sections of your hair. Scrunch your hair up and down. Use the Bounce Curl microfiber towel to scrunch excess water. Lastly, air dry or diffuse. 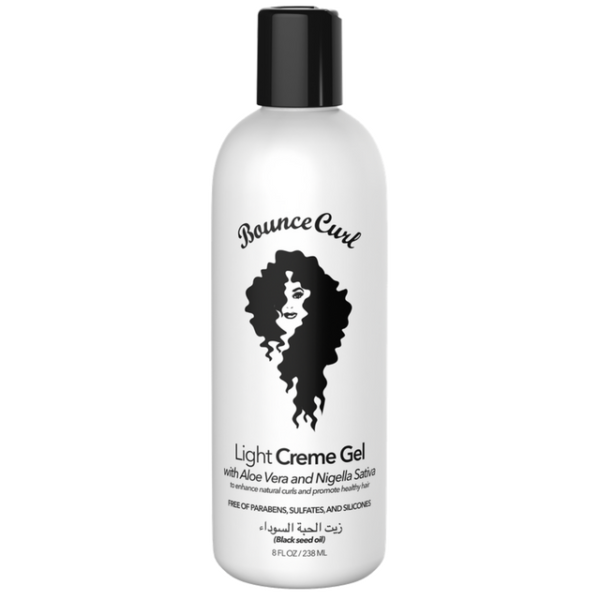 If you have “DRY HAIR”, please use a leave in or cream before you apply Bounce curl light creme gel. THICK HAIR or DRY hair: Use your creams, leave in conditioners and lastly, top it off with the Bounce Curl gel for that extra hold. 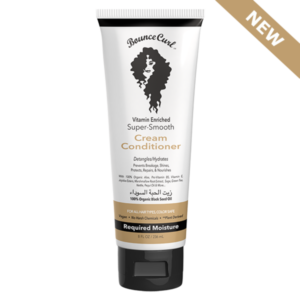 It will help define those beautiful curls without making it feel crunchy. Some oils of different products will repel the Bounce curl oils. If you feel a “squeaky” reaction when you apply the gel, that just means that the cream is not compatible with the gel. That is still ok because once your hair is dry, it will look incredible. Bounce curl is currently waiting for hair cream to finish in the lab. In the meantime, you can use your regular hair creams and combine it with Bounce Curl gel.